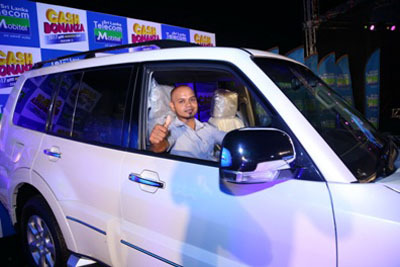 Mobitel extended its Cash Bonanza Montero Extravaganza programme for 2017 to award another 12 lucky winners with luxury Monteros. Along with the 12 luxury Monteros, the operator will be awarding cash prizes of Rs. 500 each to a total of 219,000 lucky Mobitel customers throughout the year. Mobitel will be awarding Rs. 350 million to its customers throughout 2017. The first lucky winner for 2017 is A. M. C. P. Upashantha from Godakawela for January. Along with this winner, Cash Bonanza Montero Extravaganza has awarded a total of 18,610 customers with prizes worth over Rs. 310 lakhs for January.